Good morning! 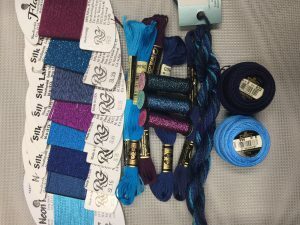 Today I’ll tell you about a new class being offered through Shining Needle Society and some of my teaching pieces in general. Ablaze is pictured above. This is a new class, taught only once before at ANG National Seminar. 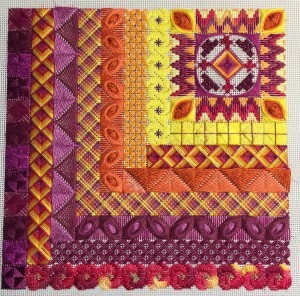 Ablaze is a modified log cabin quilt layout, with a spectacular (if I do say so myself) corner motif. The bands surrounding the corner are laid out in an analogous color scheme from yellow to orange to magenta, with touches of red. 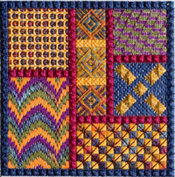 Some of the stitches are layered crescents, Maltese interlacing, herringbone square, Jessicas, layered cross stitch, double herringbone, Bargello swirls and of course waffle stitches. There are other stitches as well, laid out in an 8 week course. You can order a complete kit or instructions only. 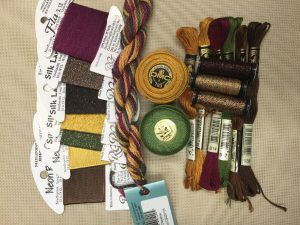 A complete kit is $142 (includes canvas, threads, instruction book, teaching fee and postage) or $79 for instructions only (instruction book, teaching fee and postage). Don’t like the hot colors? I’m offering two additional color ways, Blue Blazes and Embers. I don’t have models stitched for the other two color ways, but you can see the threads we’ll be using for them. One feature of my cyber classes is video stitch demonstrations of the stitches. That’s right, you’ll be able to see me stitching the various stitches, which you can watch as many times as you need to in order to stitch to perfection. I do have a YouTube channel with some other videos, but the video stitch demonstrations for this class aren’t on it – private, as a value added for those taking the class. To sign up just send me an email, debbie@DebBeesDesigns.com, and I’ll take you through the registration process. We’ll take registrations until March 19, then close the registrations so I can order supplies and get kits together and mailed out. Class will begin May 7 and run through June 30. Don’t worry if you can’t actually stitch the project during that time frame; the files, videos and diagrams will remain available to class members indefinitely. I’ve been working on teaching projects lately and not designs for release to shops because this time of year is proposal time. I have to get the proposals in to the various venues in order to be considered for the faculty, for 2019! But for the most part proposals are behind us and I’m ready to begin work on other things. 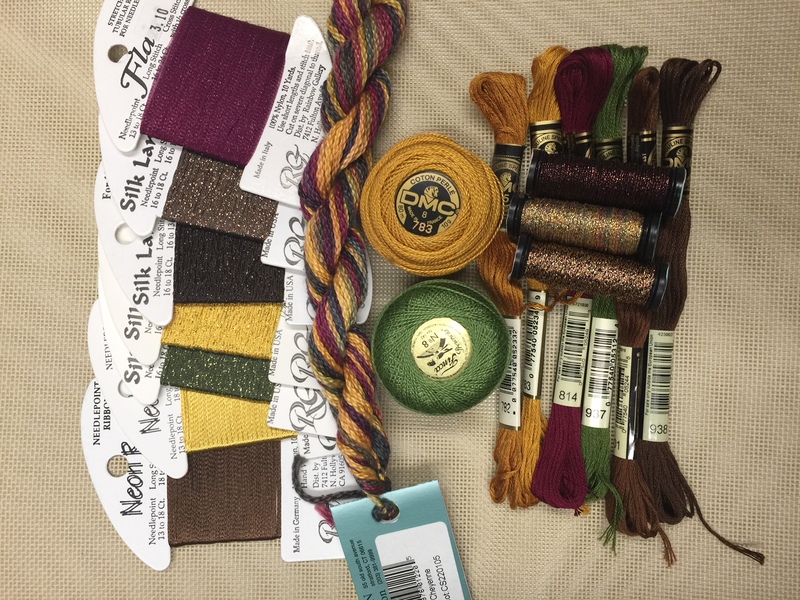 I do have more models to stitch for teaching pieces, but my mind is turning to other designs. If only I had more time to stitch!